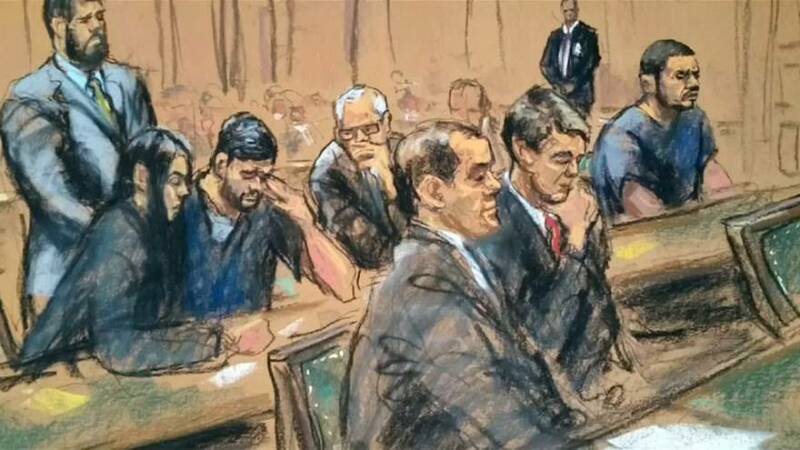 Two nephews of Venezuela's first lady have been sentenced to 18 years in prison in the US after being convicted of drug trafficking. Franqui Francisco Flores de Freitas and Efraín Antonio Campo Flores were accused of conspiring to smuggle 800kg of cocaine into the United States. The two cousins, both nephews of Cilia Flores, Venezuelan President Nicolás Maduro’s wife were arrested in Haiti in 2015. Lawyers for both defendants had asked for a shorter sentence of 10 years, while prosecutors had sought 30. Crotty said 30 years would be excessive, noting that Flores de Freitas and Campo Flores had no previous criminal history. "What moves me is that Mr. Campo Flores and Mr. Flores de Freitas were perhaps not the most astute drug dealers who ever existed," he said. "They were in over their heads." Both cousins spoke briefly before being sentenced. "I know that I have made very serious mistakes in this case," Campo Flores said, going on to apologize to his wife and children. "I've always been a good person," Flores de Freitas said. "Even in jail I tried to help those who were in a worse psychological situation than I find myself in." He asked that the judge allow him to return to Venezuela soon to be near his son. Lawyers for the two men had no immediate comments after the sentencing. Prosecutors said they tried to make $20 million (17 million euros) through drug trafficking to help keep their family in power. Lawyers for the two men said in a court filing earlier this year that prosecutors had proven only "bungling discussions of a drug plot that could never actually have been executed." Days after their conviction in 2016, Maduro blasted the case as an example of US imperialism. The Venezuelan President has frequently cast U.S. accusations of drug trafficking as a pretext for meddling in the country and trying to topple him. Under Maduro, oil-producing Venezuela has fallen into an economic and political crisis in which more than 120 people have died in four months of protests. The United States announced new sanctions against Maduro's government in July.